October arrived and there was still a lot of work to do in the hops yard after the harvest. 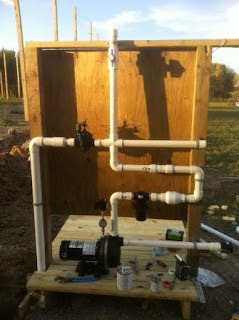 Howard installed a much needed irrigation sytem. Lots of planning and calculating went into the design. 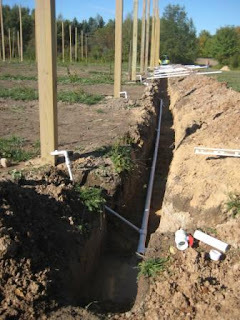 This system will provide water to our existing 1 acre hop yard and meet the watering needs of our future expansion yard. 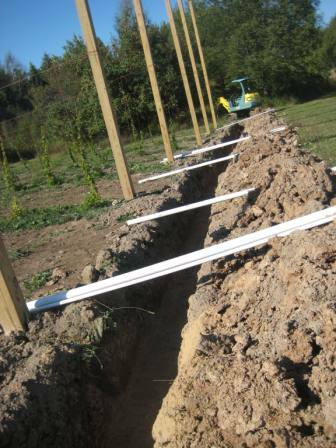 While Howard finished up the irrigation system, I pruned the 1st year hops bines back to the ground level and removed all of the bines from the yard. 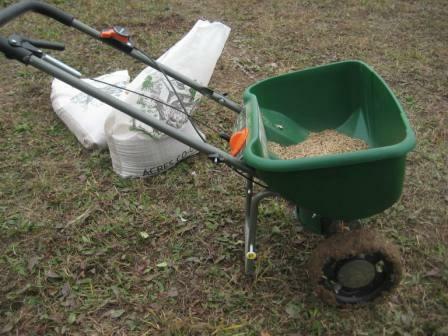 We also decided it would be wise to give our yard a jump start for next year by seeding in some annual rye and some clover for a cover crop between the rows. 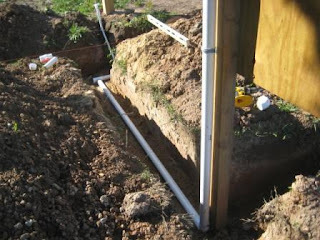 Doing this also helps to prevent erosion of the top soil during the harsh winter months. 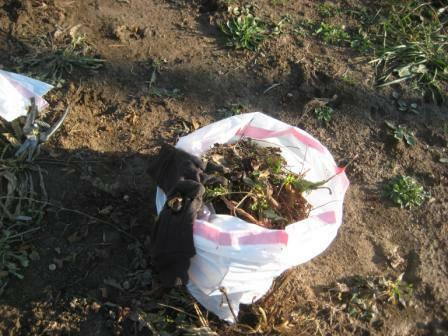 Small but trusty, my Scott's spreader gave me a workout walking up and down the aisles of poles spreading the seeds.